…Click, Drag & Drop Gold Person (top left corner) for Panoramic View. It’s Fun! *This listing is on-going. We will continue to post new locations as we discover them so be sure and stop by again. If you conduct classes and would like to be included in our publication please Email UtahAgenda. Thank you & Happy Fit Utah! 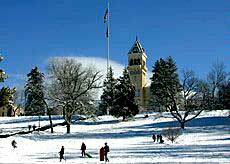 Centrally located in Logan, Utah and has a longstanding tradition by students and community members for various winter activities, among them being Snow-Tubing and Sledding. The American West Heritage Center sits at the foot of the majestic Wellsville Mountains on U. S. Highway 89/91 in Utah’s magnificent Cache Valley, the most scenic route to Jackson Hole, WY and Yellowstone National Park, and just 70 miles north of Salt Lake City. A non-profit living history museum located in beautiful Wellsville, UT. The AWHC covers 1820-1920 using four Historic Sites: A Shoshone Encampment, Mountain Man Encampment, Pioneer Settlement, and 1917 Jensen Historic Farm. Beginning in mid-June 2009 AWHC will also interpret the impact the Railroad had in Cache Valley using a train visitors can ride. We also have Festivals, such as Baby Animal Days, and Special Events, such as our Corn Maze. Includes the Jensen Historical Farm, an authentic 1917 farm where visitors can learn about farming in the early 20th century; and the Pioneer Era Area (1845-70), which describes homesteading and life in a dugout or log cabin. There are also depictions of life in American Indian villages and the military. Allow 2 hours. The seasonal festivals (special fees apply), held several times a year, feature arts and crafts demonstrations and Western re-enactments, competitions, music, and food. Airboarding is a high-tech twist on traditional winter sledding. Riding an Airboard is similar to riding a bodyboard in the ocean. The Airboard is inflatable and has grooves on the underside that allow riders to make sharp turns and stop quickly in the snow. 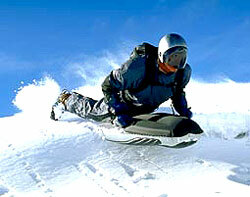 Unlike snowboarding, airboarding doesn’t require a lot of equipment and it’s very easy to learn. Only weighing 6 pounds, the Airboard is easy to carry. Riders have been known to reach speeds of more than 80 mph. Airboarding Map & Locations Coming Soon!